When Bower (Ben Foster) and Payton (Dennis Quaid), two crewmembers onboard a vast spaceship, wake up with limited memories of their mission and their own identities, they must try to piece together what happened to the rest of the crew and fix their ship that’s slowly dying. Pandorum is a horror movie in space while having a mystery to it as well as you come to realise that much like the characters on this ship, you as the viewer can’t necessarily trust what people are saying. Bower definitely gets the short end of the stick as he’s the one, exploring the ship, facing unexpected dangers while Payton is safe in the control centre, guiding him through the enormous ship. Also, it’s slightly unbelievable how Bower survives considering the amount of times he falls from great heights and gets thrown into walls. The spaceship is like its own character, it’s dark and dank and with the flickering lights and ominous sounds it is not a place you’d want to be exploring on your own. Bower soon discovers he’s not alone as there’s creatures aboard the ship, creatures who are super-fast and eat people. The fact that these creatures look to be made from practical effects elevates the creepy factor. 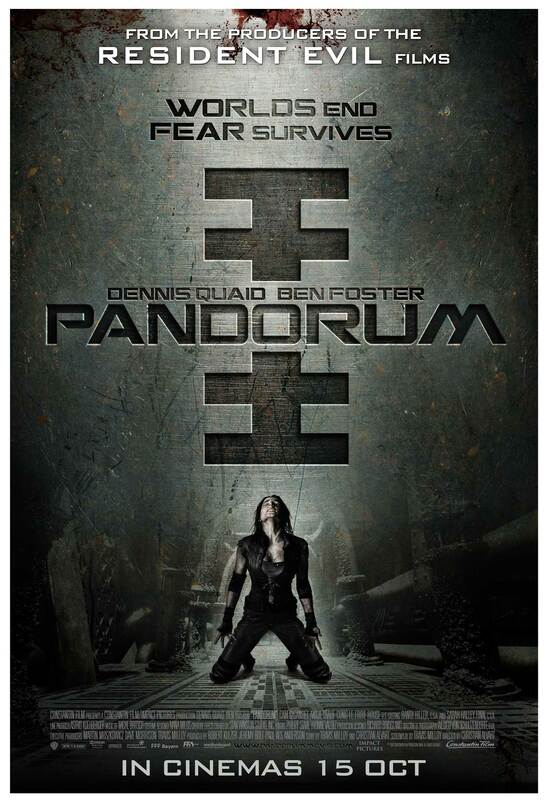 Pandorum is a bit too long and some of the exposition is a bit clunky, but it’s still a tense and thrilling film. The horror and sci-fi elements are blended together near-perfectly and Ben Foster’s Bower is an underdog you root for. 4/5.